This machine is three colors printing machine, suitable for one operators. 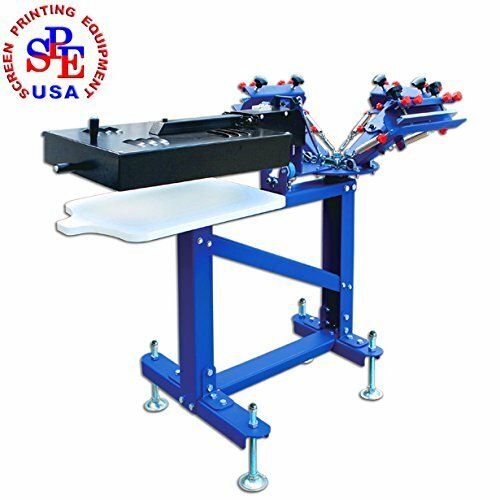 Drying machine directly on the machine, can be at any time after the printing of the material surface 3-5 seconds drying, then go to next color printing, improve the work efficiency, one person skilled operation, can be printed every hour 30-40 three color t-shirt. The dryer is equipped with intelligent control system, which is energy & cost saving but with higher efficiency. When the drying box is moved above the printing pallet, it will dry automatically; while moved away from the pallet, it will stop working automatically. The Design of this Machine is that Operator in Front of Platen of Printing.